Authentic awakening brings about the end of all seeking. When you awaken, you awaken out of the trance of the limited self that is always seeking happiness elsewhere. You awaken into the discovery that the very peace, love, happiness, and freedom you have been seeking are already here now as the essence of who you are. Even a brief glimpse of your essential Being can catalyze a profound shift in your experience. Rather than needing to cultivate intentional mindfulness, you experience your own awareness as effortlessly mindful, ever present, and already awake. Direct Awakening is initiated when our every-day awareness recognizes or “wakes up” to its own nature – clear, open, boundless, content-less and timeless. When awareness recognizes itself, the habitual, contracted ‘small self’ can begin to relax and learn to let go into this clear, loving consciousness, your true nature. As habitual mind surrenders, your essential Being unfolds by itself spontaneously, bringing forth an abundance of well-being, wholeness, joy, and connectedness with all of life. The power of retreat lies in the charged atmosphere of sustained group practice, our mutual authenticity, our willingness, and the fact that awakening can be shared. You will be guided towards continuous recognition and sustained experience of your most essential Being, which is eternally awake. 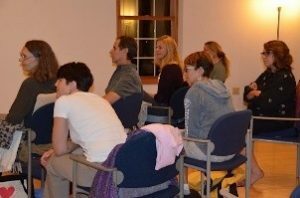 For those who have already recognized awake awareness, retreat practice increases meditative stability, deepens insight, brings forth beneficial qualities, and dissolves the boundary between meditation and daily life. Your guide is a highly trained teacher praised for his abilities to impart instructions in a clear, compassionate, practical way. The teachings are non-denominational and draw primarily from Buddhism and other non-dual wisdom traditions of the East and West as well as from modern contemporary psychology and neuroscience. 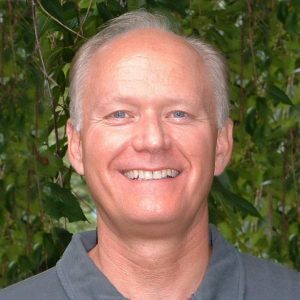 During the retreat Scott will also do healing meditations that can help remove obstacles and accelerate your journey. “I am so very grateful for the experience of the recent retreat you led. I’ve had other retreat experiences for comparison and this one is exemplary. You provided an atmosphere of safety and respect for all participants, which I’ve learned is essential to the intimate work that occurs in silence and in sharing with others. Your commitment to teaching others is filled with integrity and loving intention, clearly drawn from the power of your own personal awakening.” J.F. “This retreat was excellent. I appreciated the guidance, exercises, discussions, time for practice, and the care and compassion in helping us awaken in a loving way. I absolutely value the teachings on awakening and open heartedness. Best retreats ever!” M.F. “The group we had was phenomenal. The atmosphere seemed super charged and that was extremely supportive. I truly felt my progression towards more awakening and was so excited almost every sitting to really look deeply and feel my true nature. It felt like food for my soul.” K.D. Retreat includes periods of guided and silent meditation, individual and group inquiry, walking meditation, talks, discussion, awareness exercises, group healings, nature walks and optional morning yoga. After the first day, the retreat will take place in silence (except during the instruction and discussion sessions). The practice of silence is one of the most enjoyable and rewarding aspects of the retreat. Silence nurtures meditative experience, refreshes the spirit, and provides a mirror for seeing our minds more clearly. The retreat begins Wednesday evening with check-in at 5:00 pm followed by orientation, a welcoming meal, and the evening program. We’ll conclude late Sunday afternoon. 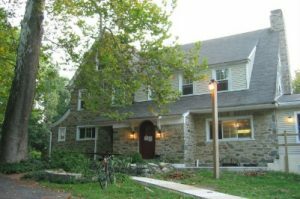 The retreat takes place in Brinton House at Pendle Hill in Wallingford, Pennsylvania. Pendle Hill is a Quaker study, retreat, and conference center located in a beautiful, natural and peaceful setting in the western suburbs of Philadelphia. It is a place dedicated to peace, justice and personal transformation. The Pendle Hill community offers us a charming residential facility with meeting hall and community area, delicious healthy food, and a caring professional staff. Seating is mostly in chairs, but some cushions will be available. Costs for the retreat include the program tuition plus facilities, accommodations, meals, beverages and snacks. There are three registration options: Residential with Single Accommodations, Residential with Shared Accommodations, and Commuter. Space in this retreat is limited and it is a very popular event. Room assignments will be on a first come, first served basis. Please register early to secure your place and take advantage of our Early Bird Discount! Partial scholarships are available for those with financial need. To request a scholarship, please contact info@clearlightmeditation.org. Includes tuition, 4 overnights – single accommodations, all meals, beverages and snacks. Includes tuition, 4 overnights – shared accommodations, all meals, beverages and snacks. Includes tuition, lunches, dinners, beverages, snacks, and full use of the retreat facility. Early Bird Discount for Residential Registration: $50 off if you Register by December 11! Early Bird Deadline has been extended to December 25. We strongly encourage you to take advantage of the residential opportunity for full immersion in the retreat experience. But for those unable to commit to the residential format, we have a limited number of commuter slots. Cancellation fees vary based on the time of notification. Up until December 11 there are full refunds minus a $50 fee. After December 11th a 50% refund will be made. No refunds after January 9th. Once registered, you’ll receive an email form to fill out and return stating food preferences, accommodation requests, and other pertinent information so we can make your retreat experience the best possible.